Posted on 02.3.15 by Steven. 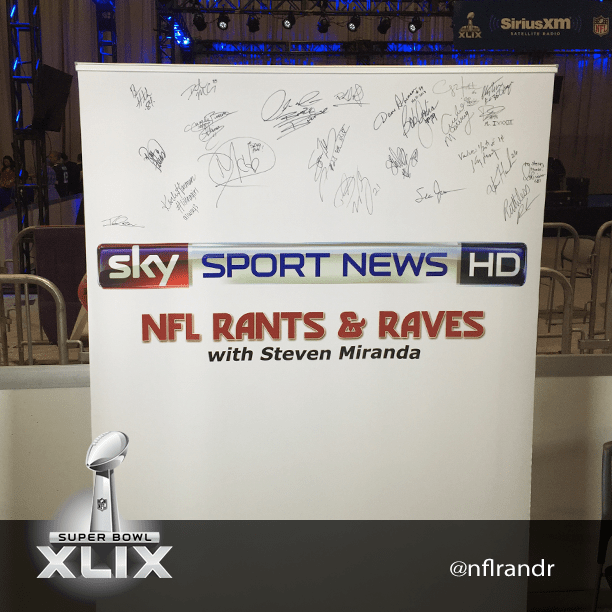 Here is the final Radio Row banner with all the signatures of personalities interviewed during the week of Super Bowl XLIX. Here is a list of everyone that signed the board.